We can consider ourselves fortunate if we have a swimming pool in our backyard. Whenever the heat gets high, all we have to do is get into our bathing suits and jump right into the pool. With proper care and maintenance, we can have a perfectly functioning swimming pool for a long, long time, right? Unfortunately, even consistent maintenance cannot stop the marching of time, because time will always take a toll on everything we own, including our swimming pool. Then again, while older pools tend to fall into disrepair because of their age, some newer pools may also show some damage for one reason or another. Swimming pools, whether old or new, will always manifest signs that they are in need of some expert attention every time something goes wrong with it. Here are some of those signs your swimming pool needs repair. When the walls of your concrete swimming pool are beginning to show cracks, you have a problem that needs immediate attention. Cracks often mean water leakages, which not only wastes water but also weakens and erodes the soil surrounding the entire structure. 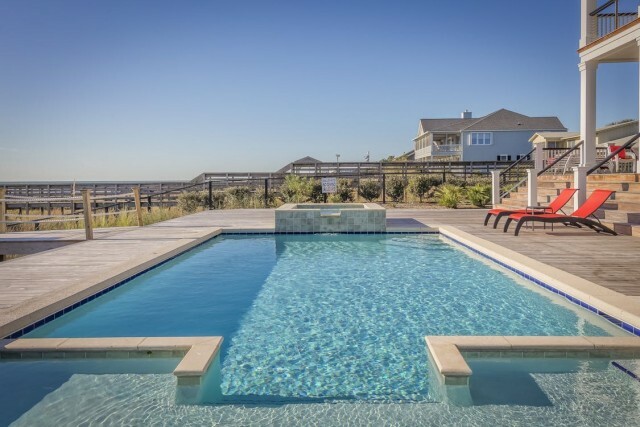 You will need to get the services of a reliable pool repair company to fix this problem, which may be caused by poor structural design, use of sub-standard cement, or insufficient sealing. If you swear that your swimming pool is always treated yet the water still seems dirty or cloudy, then you might have a problem with your pipework. It’s possible that debris has already blocked the pipes, effectively diminishing water flow through your pool filters. So you can treat the pool all you want, but the water will remain filthy until you bring in a pool professional to remove the offending debris. In many cases, filthy water is caused by a blocked sand filter. Even if water flow through the pipework is normal, cleaning up the water becomes very difficult when the sand filter itself is blocked. Ideally, you should change the sand filter every three to five years. However, if you forgot or neglected to do that and the sand filter becomes blocked, then you should call pool experts straight away. Unclean water is also a sign that there’s something wrong with your pool pump. When a pool pump is malfunctioning, it means the pool water is not filtered or circulated properly, hence, the dirty and cloudy water. Other signs of a malfunctioning pool pump are strange sounds coming from it, periodic shutdowns, and failure to turn on. While you can do the troubleshooting the pool pump yourself, it’s always better to leave the job to the professionals. Pools that are surfaced with plaster look good, but you need to remember that the chemicals you use to clean and freshen the water should be properly mixed, or the plaster surface of your pool will erode. You’ll know your plaster surface is getting eroded when the plaster wears thin some areas, while other parts crack or simply peel away. When these signs get worse, call your pool contractor right away to drain your pool, assess the extent of the damage, and repair your pool by resurfacing badly-damaged areas or the entire pool, if you so choose. If your pool has a heater yet the water is freezing even when it’s turned on, it may be malfunctioning. It’s possible that it’s having problems because it’s not getting enough water flow. Sometimes, heaters fail to do their job because something is blocking air inflow. Then there’s the possibility that issues with the controls are causing the heater conk out on you. Whatever the problem with your heater, it’s best to call your pool company. You may also need to prepare yourself because it’s possible that your pool professional may recommend a new heating system because your old heater has already reached the end of its rope. You will need the help of a pool professional when its lights are no longer working and swimming at night is becoming impossible. That’s because fixing or replacing pool lights is hardly the same thing as replacing a regular bulb in your house. If you’re the only one at home and therefore absolutely sure that no one will switch the power on, perhaps you can try to fix the broken lights yourself. However, considering the very risky combination of electricity and water, it’s probably best to let your pool company do the job. These are just some of the signs that your swimming pool needs the attention of a pool professional. While some of the above tasks can be tackled DIY style, the results will always be better if you just call your pool company to work on whatever needs repairing. The results will also tend to be better that way too.